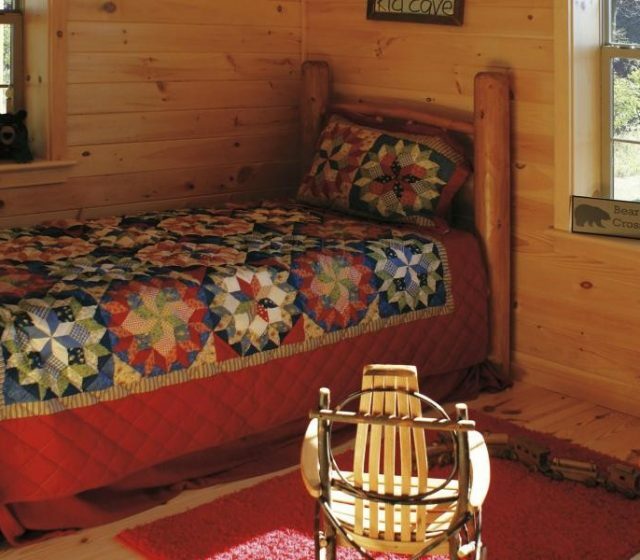 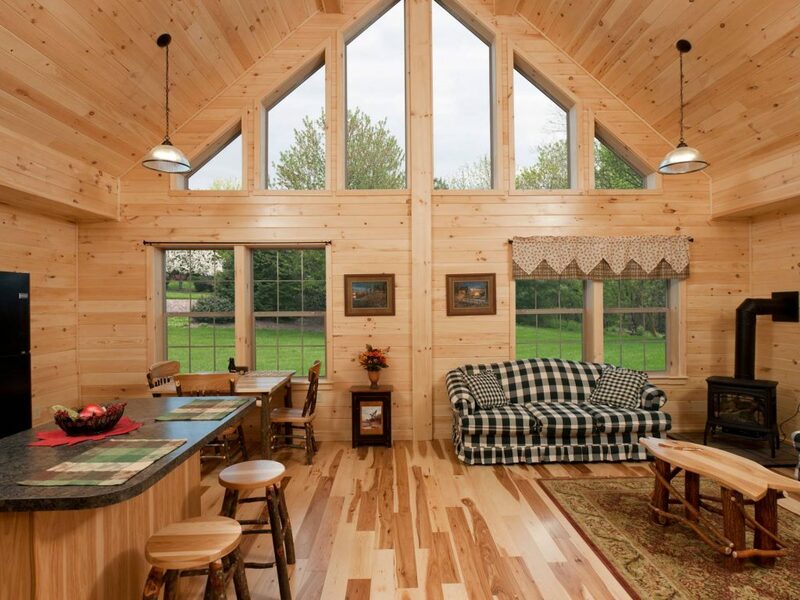 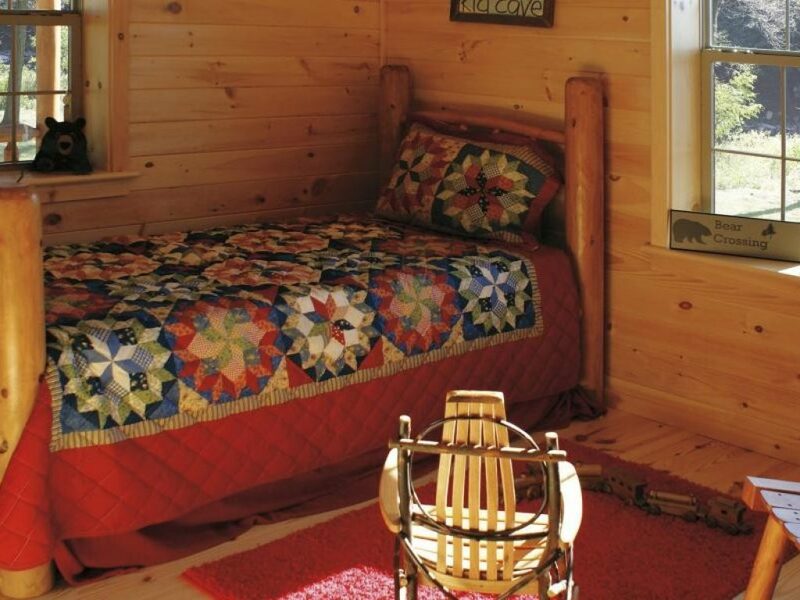 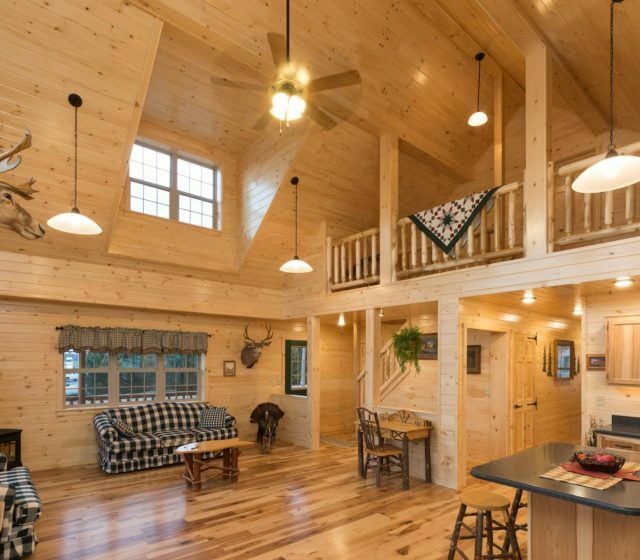 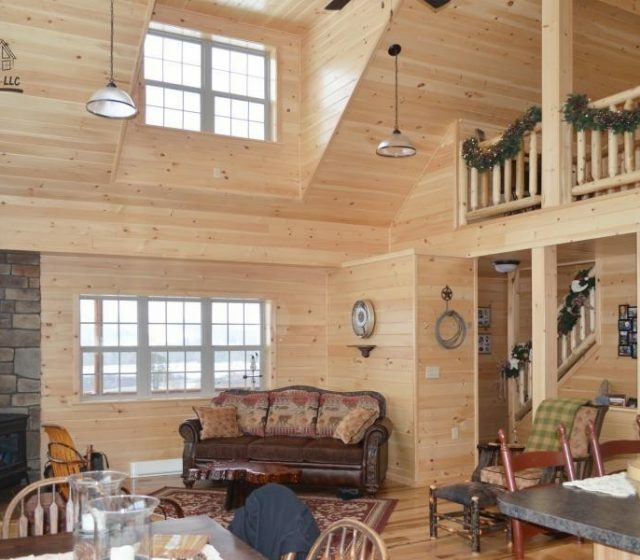 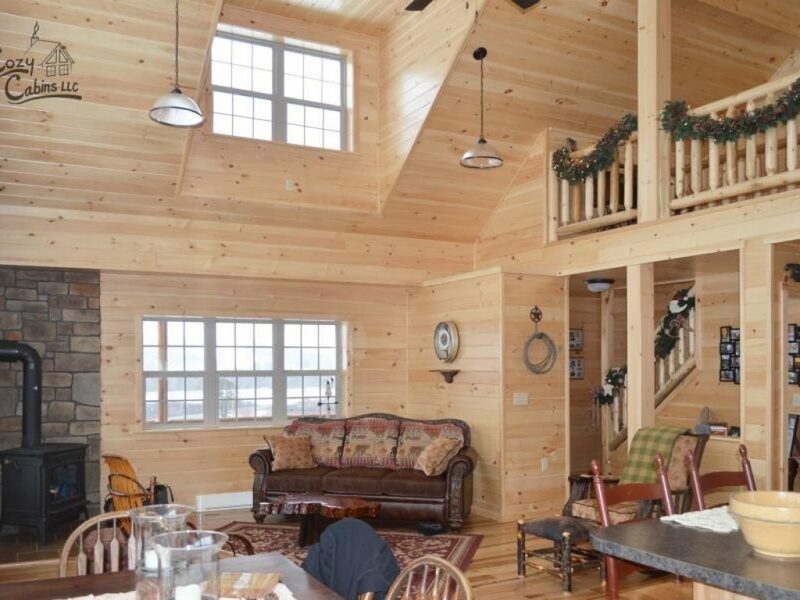 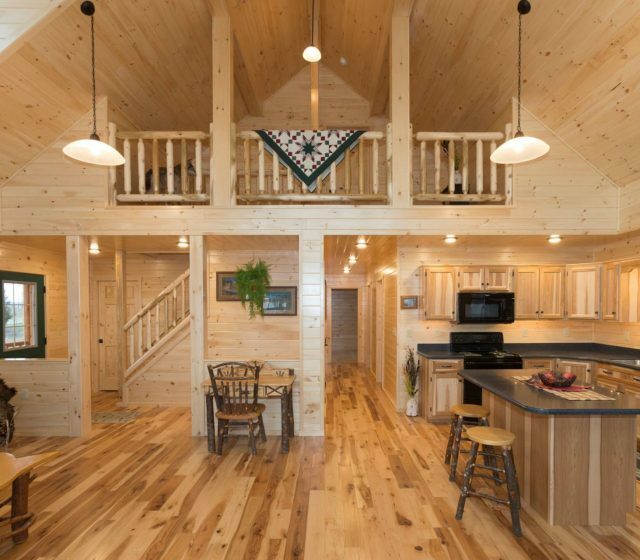 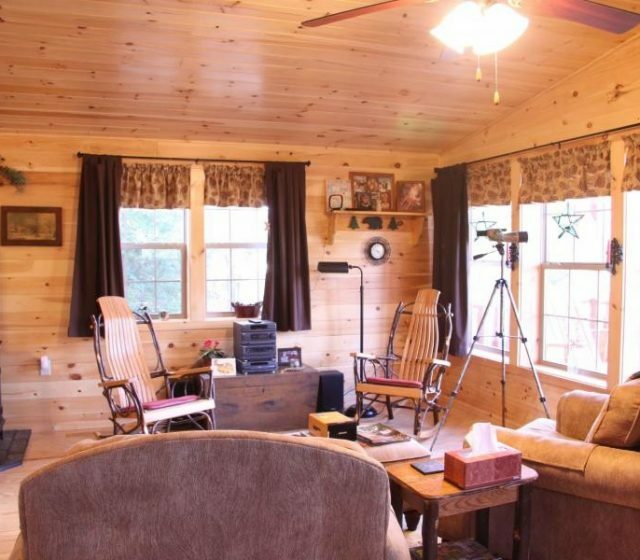 Take a look at our gallery of log cabin interiors! 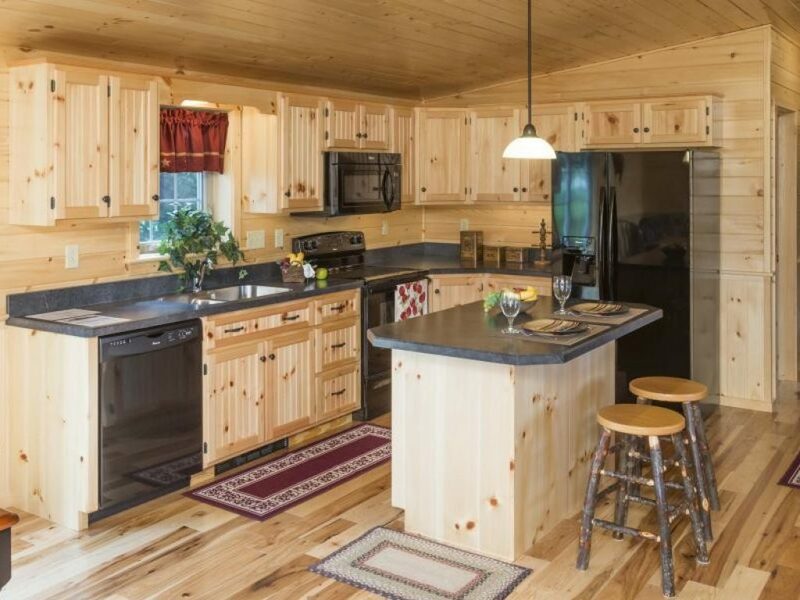 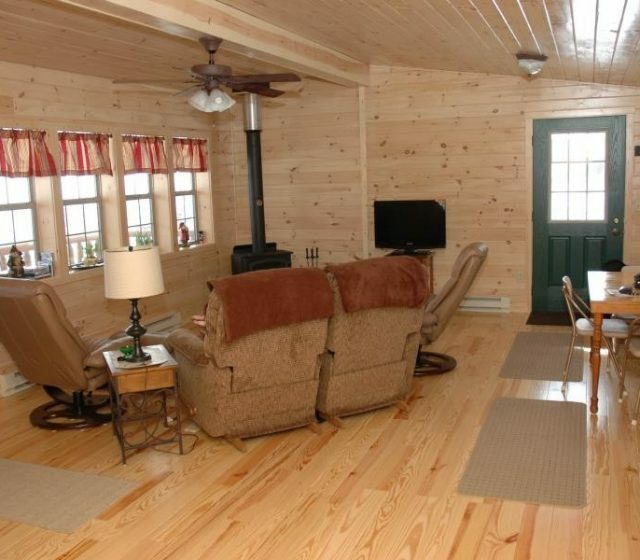 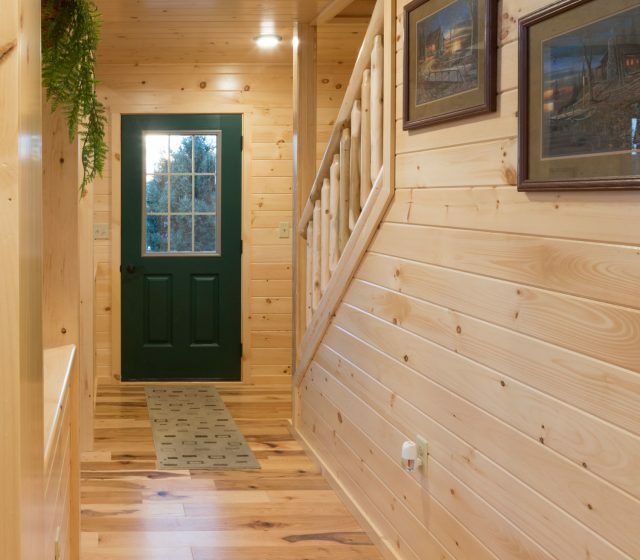 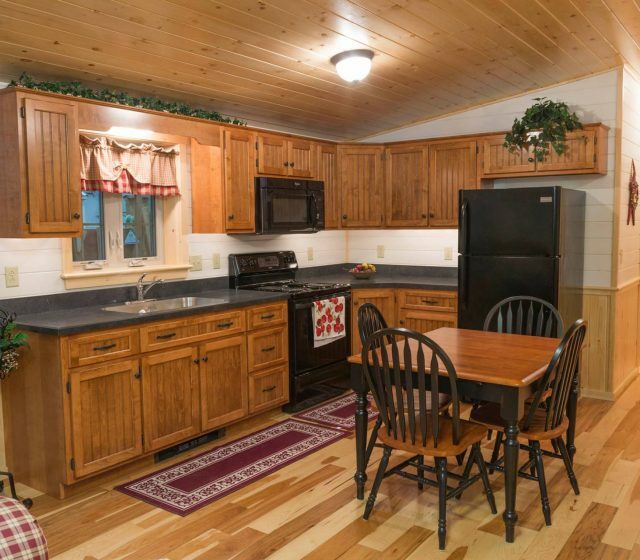 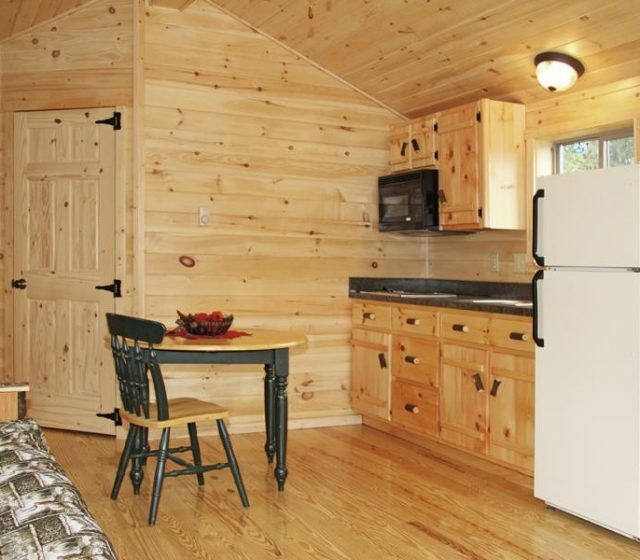 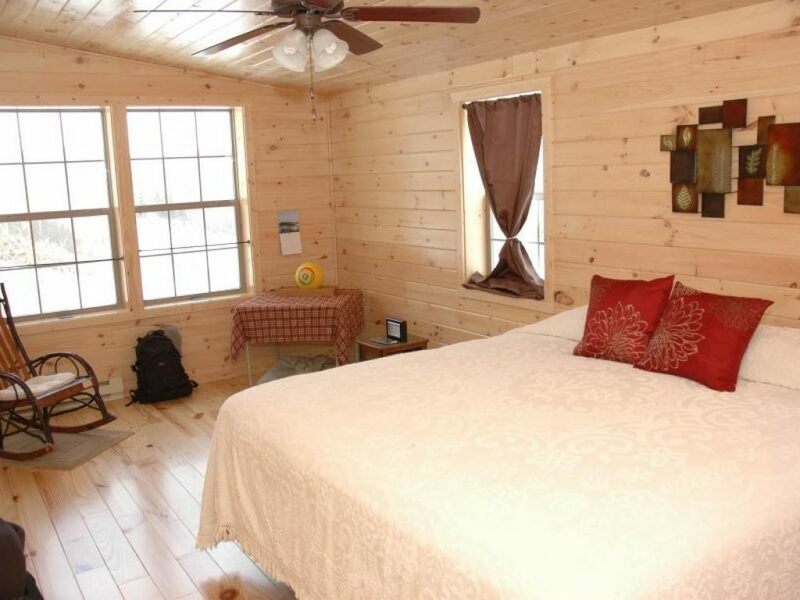 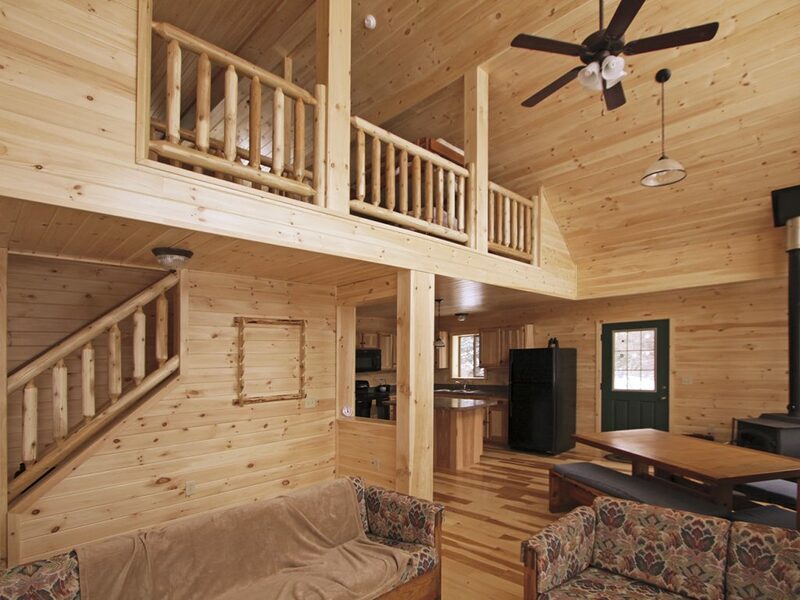 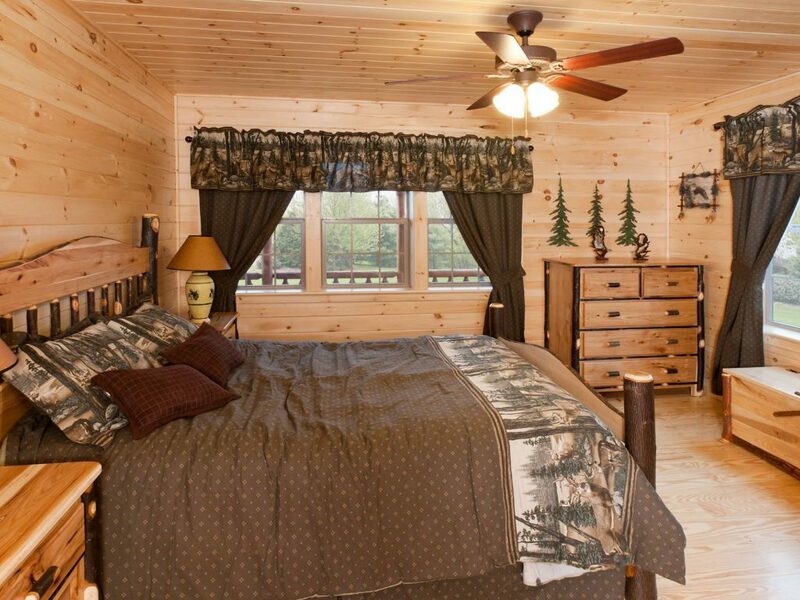 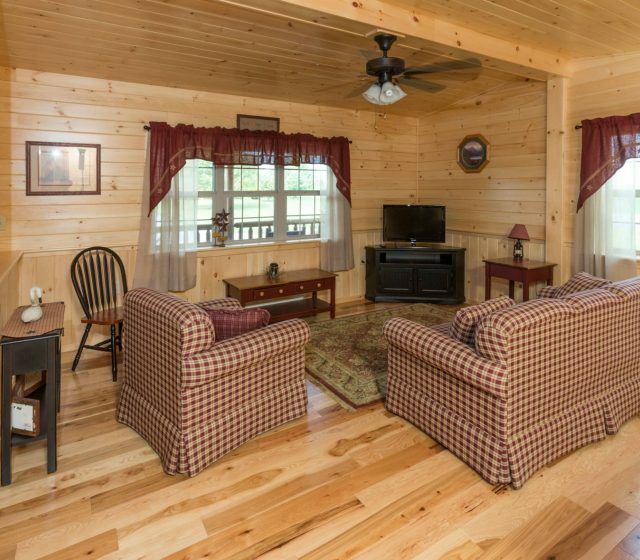 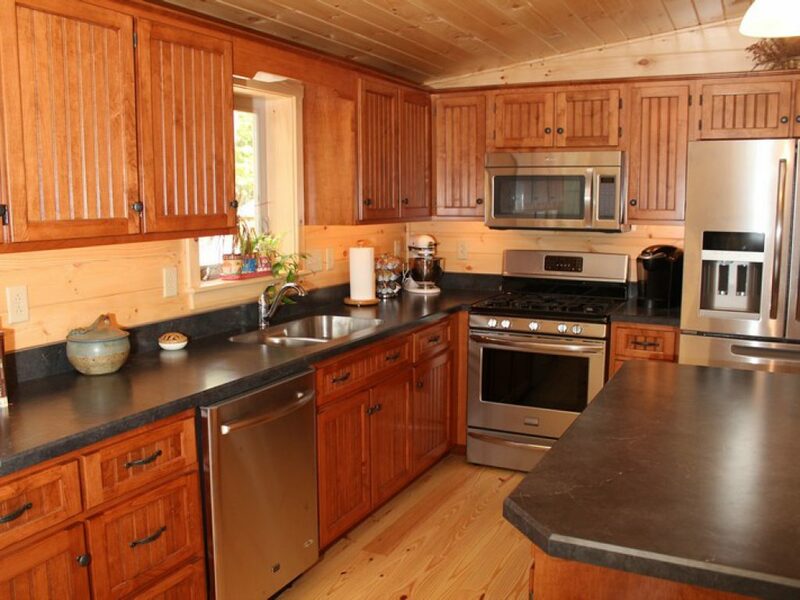 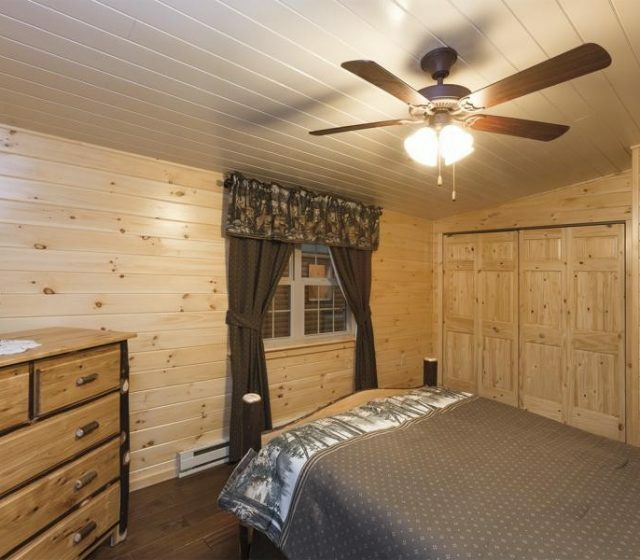 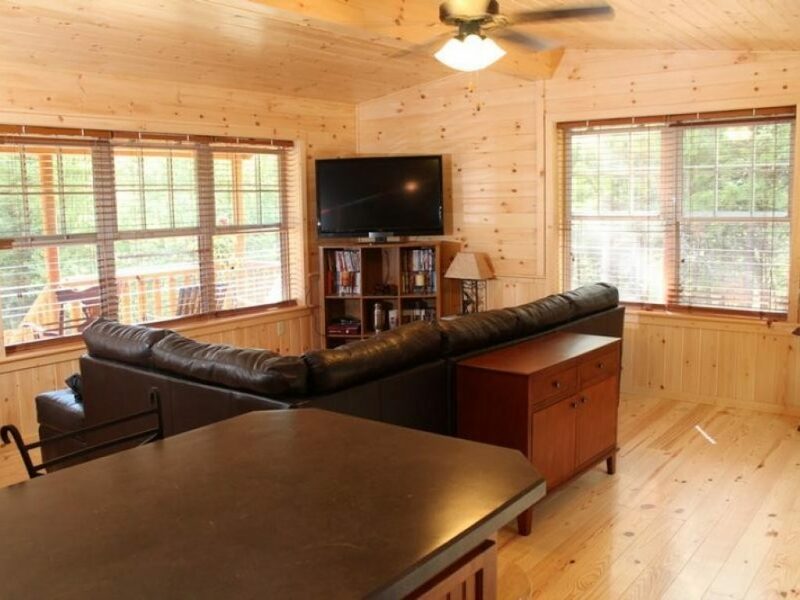 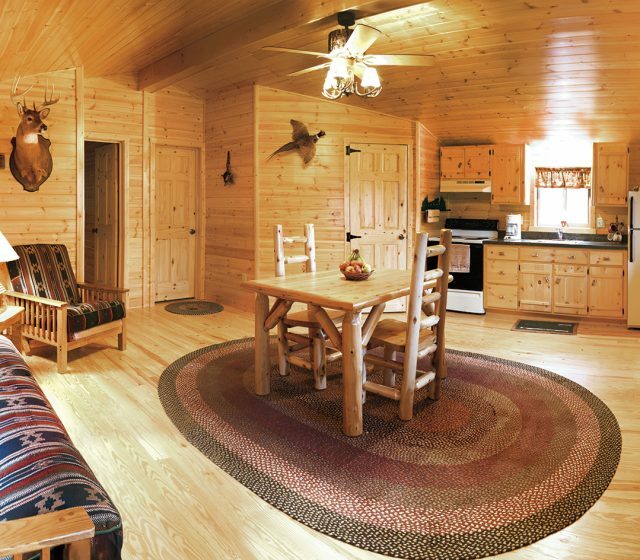 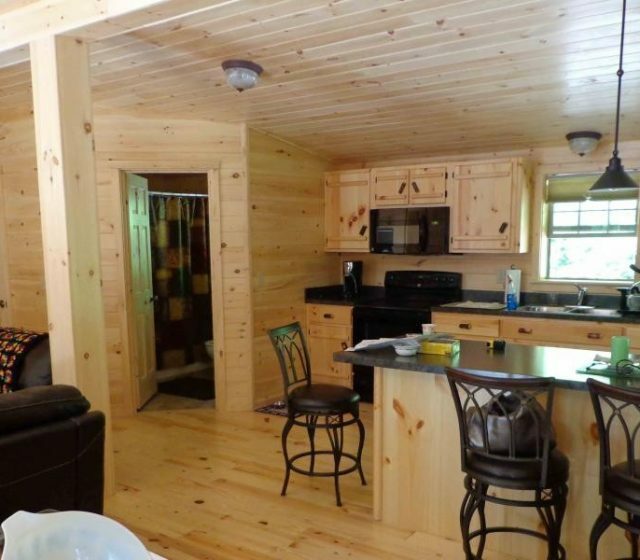 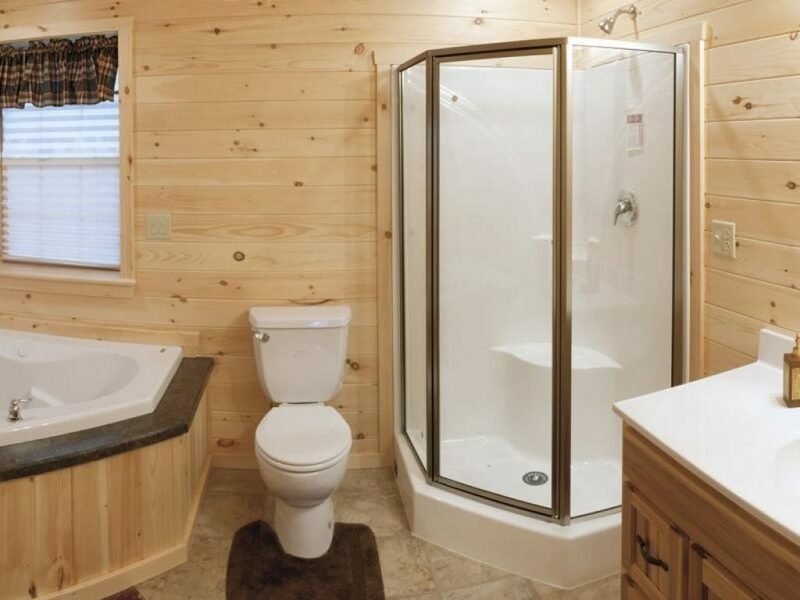 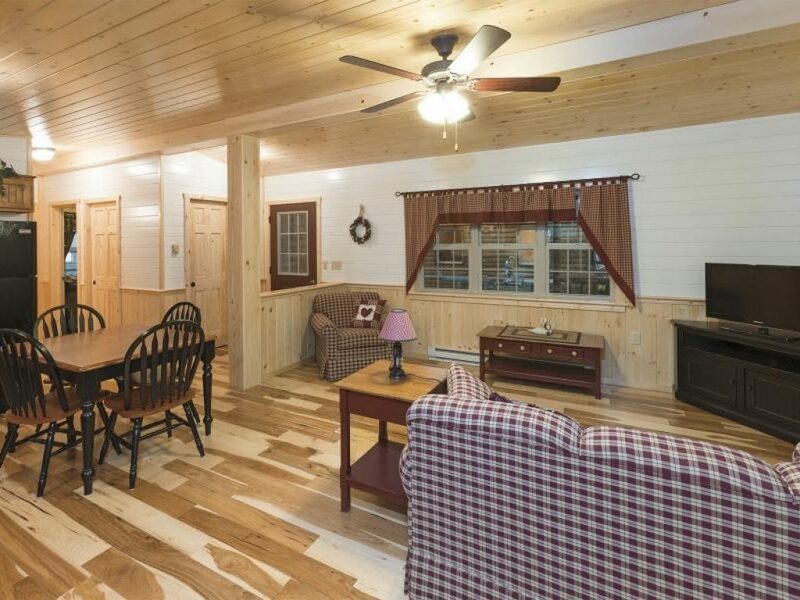 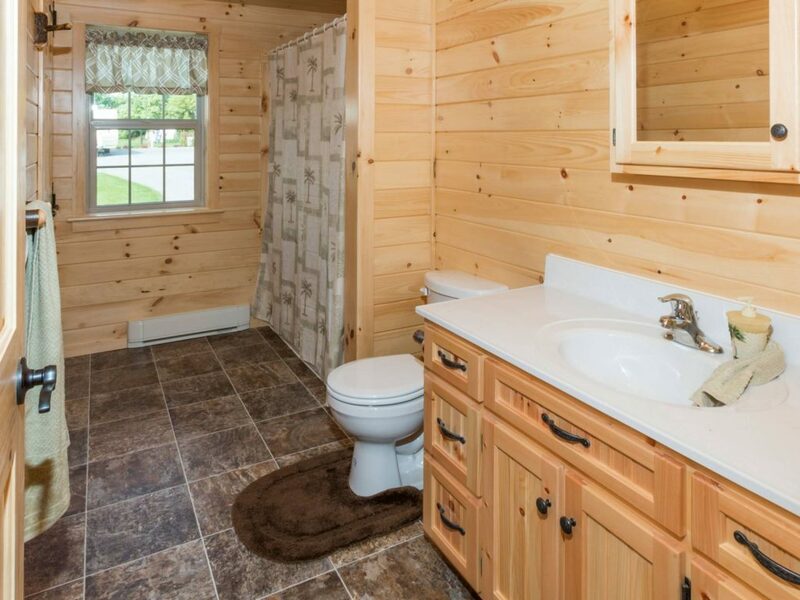 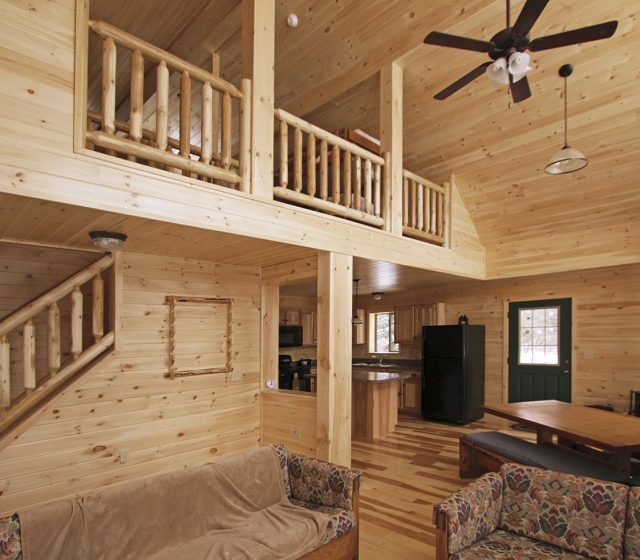 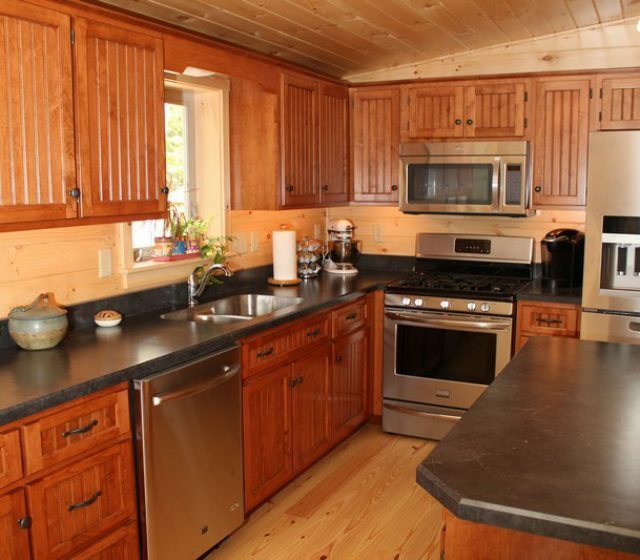 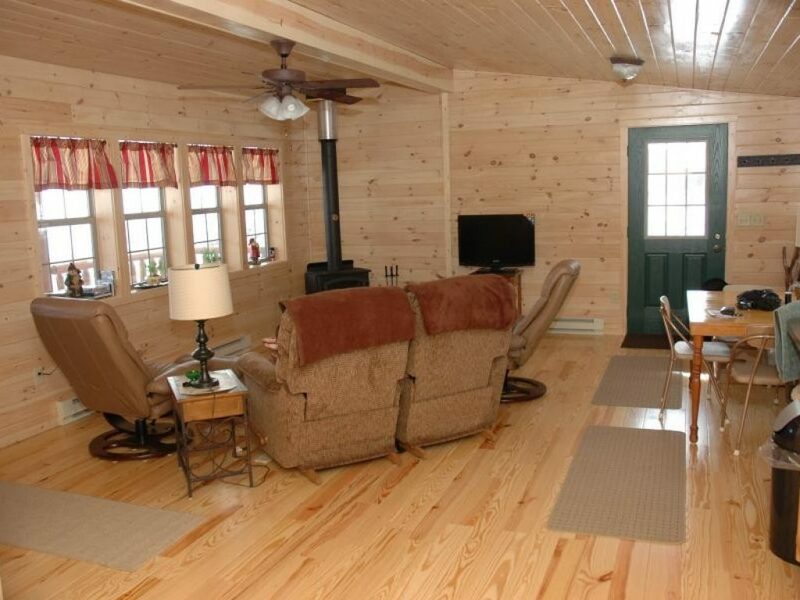 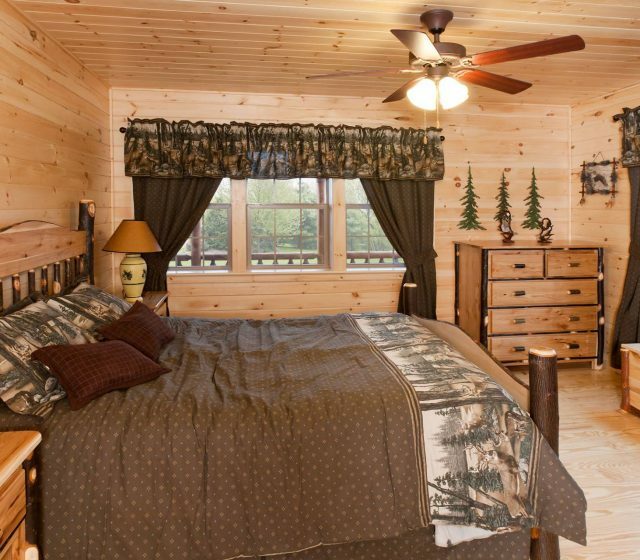 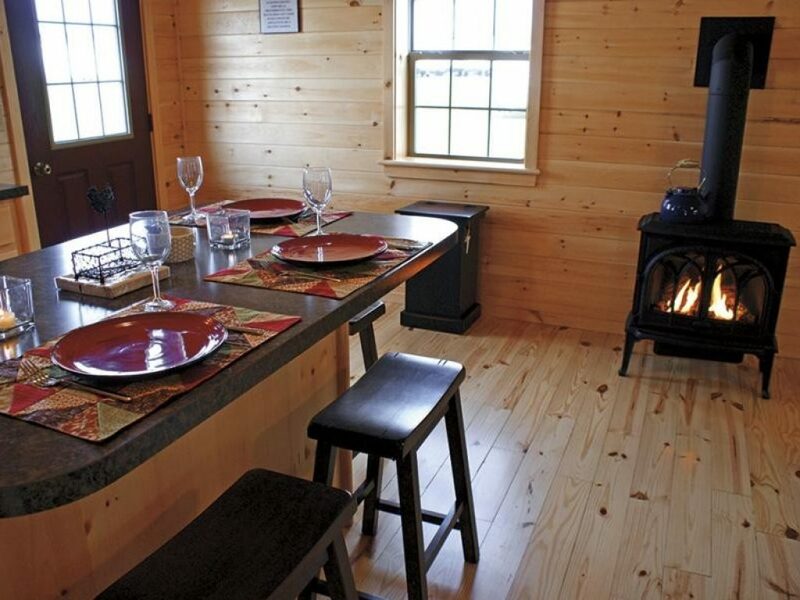 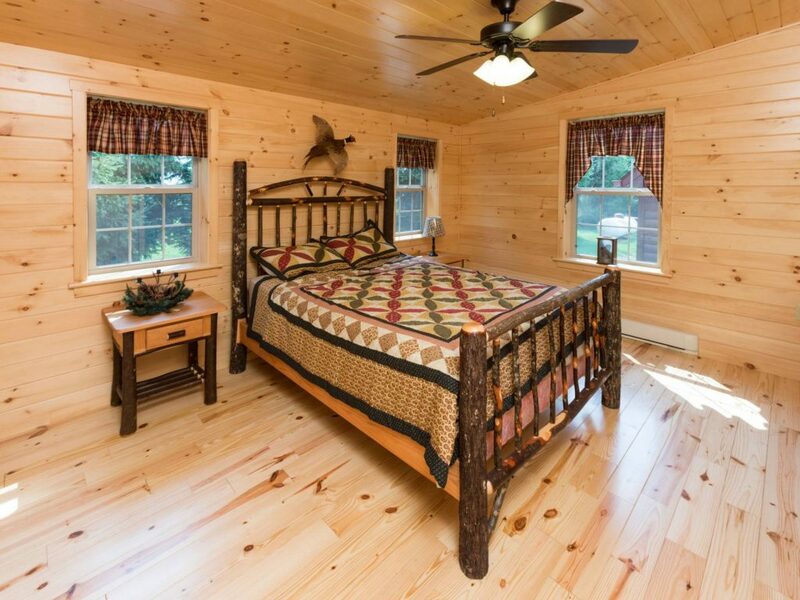 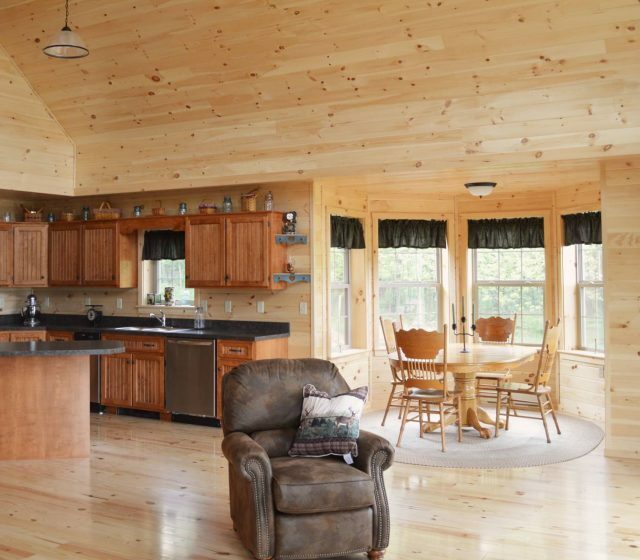 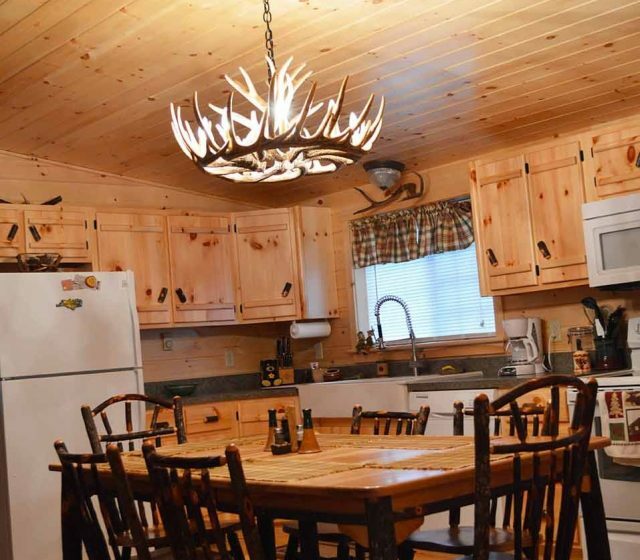 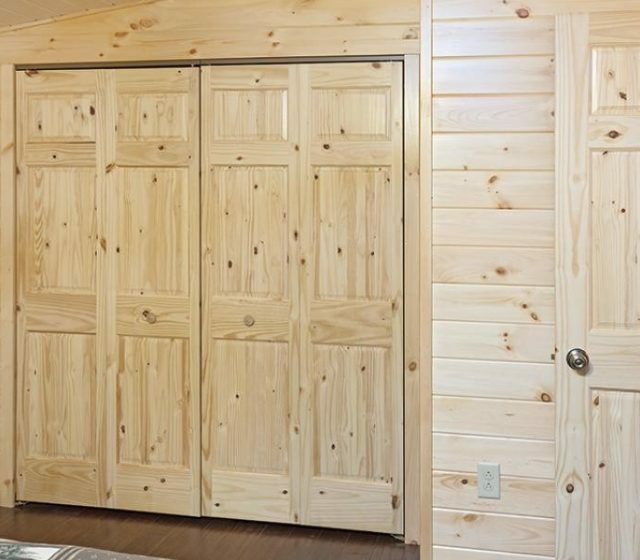 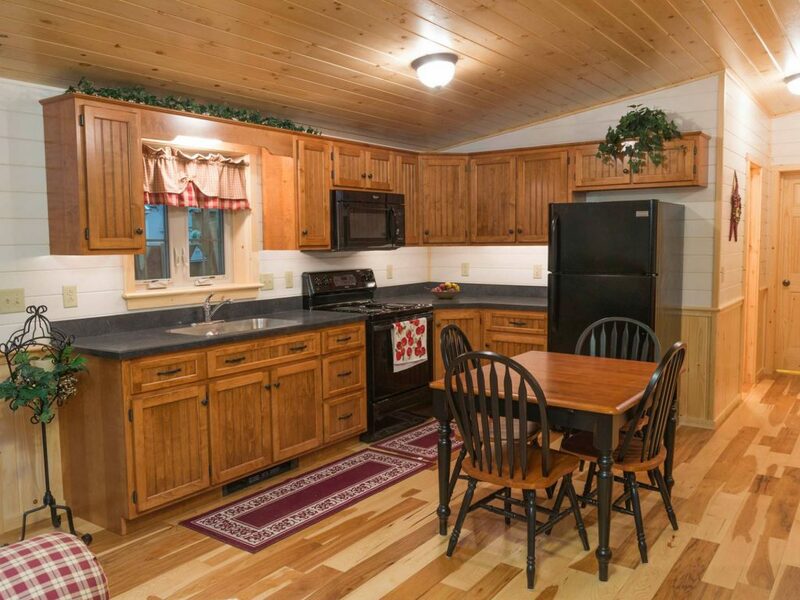 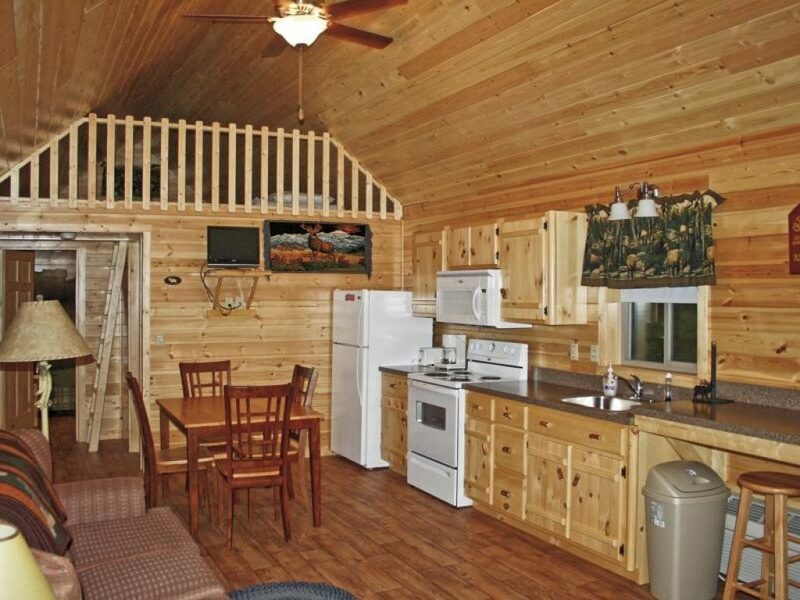 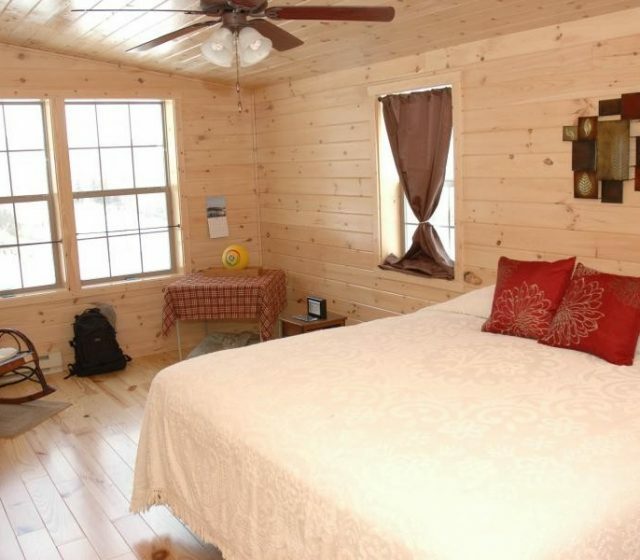 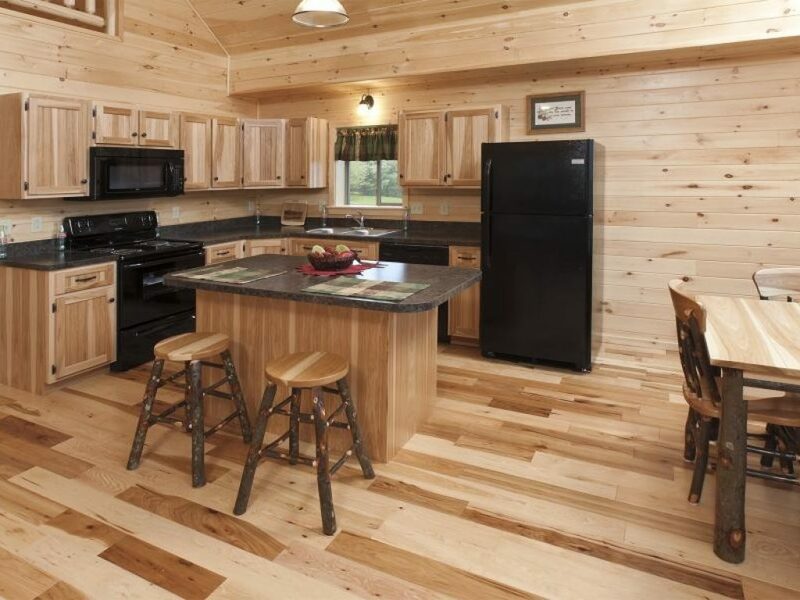 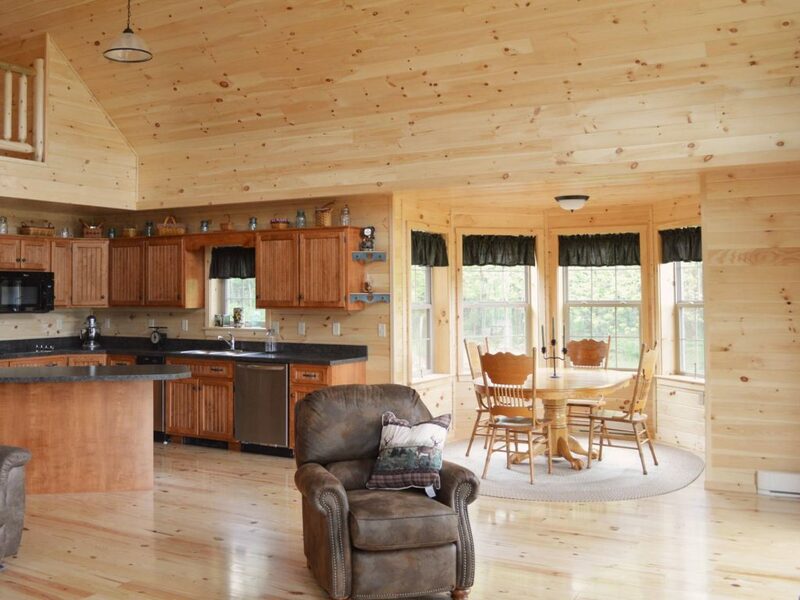 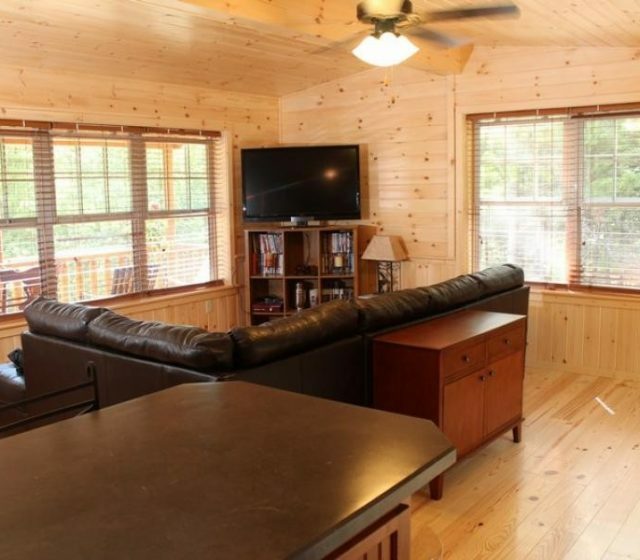 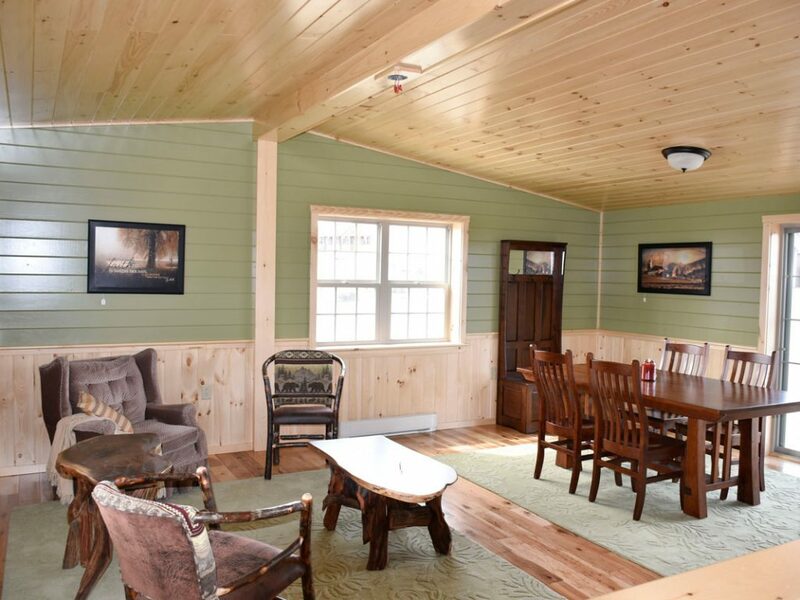 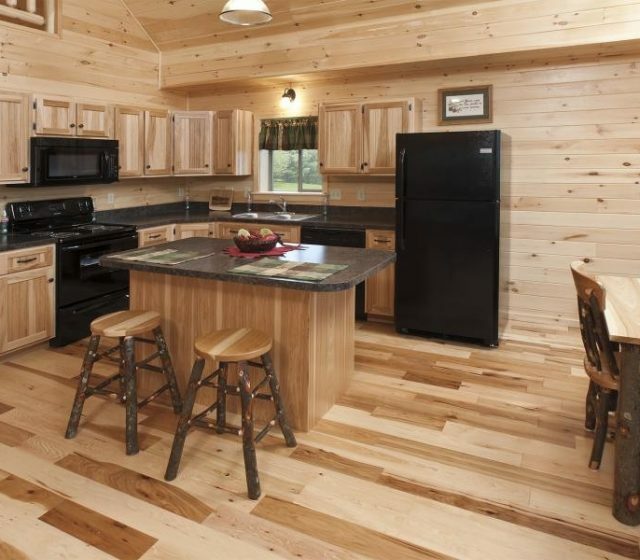 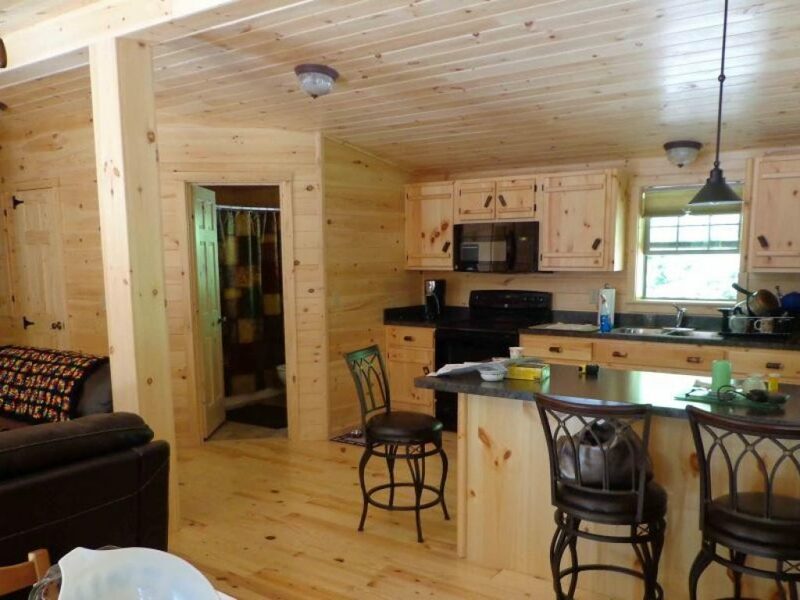 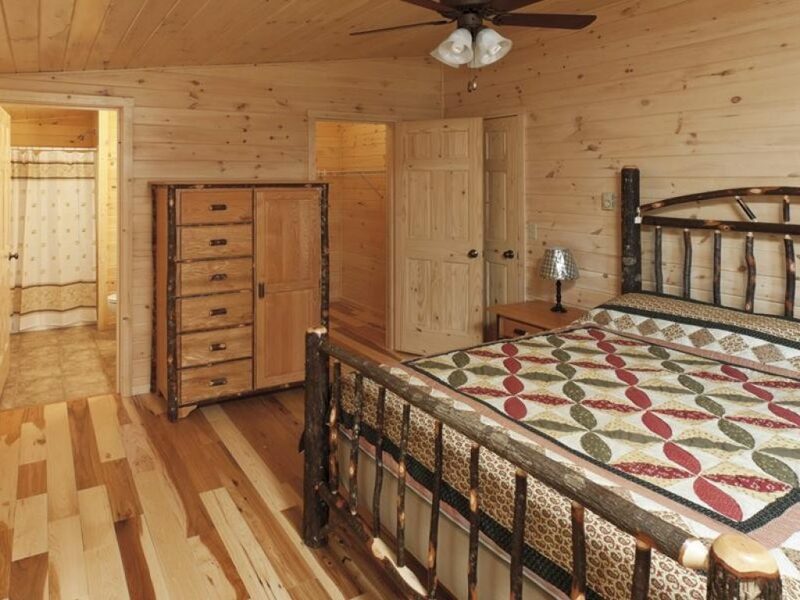 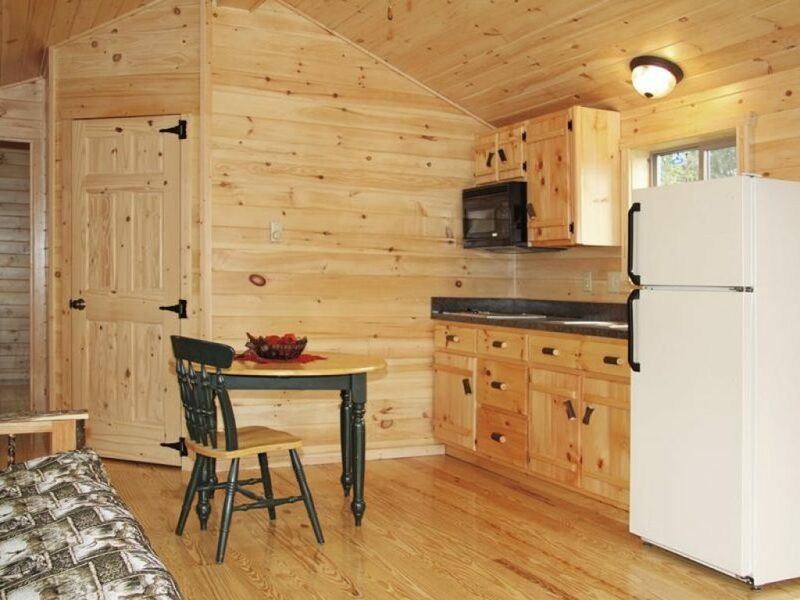 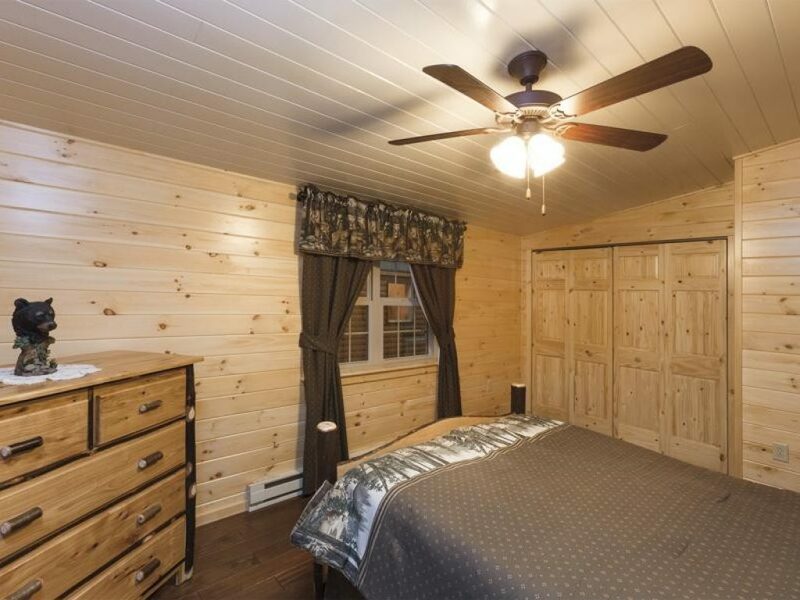 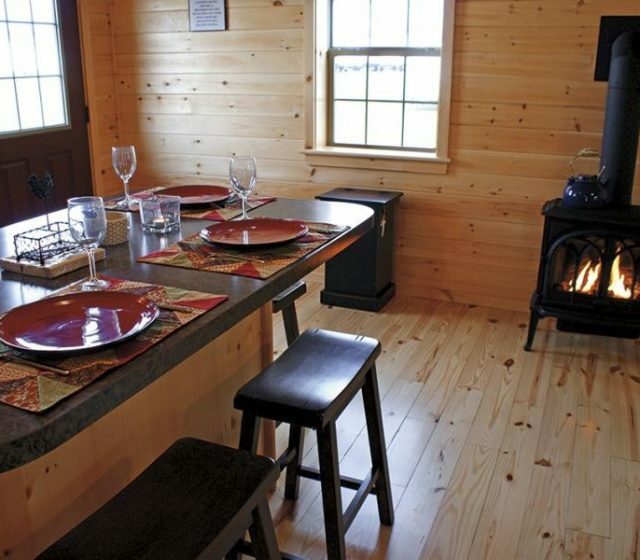 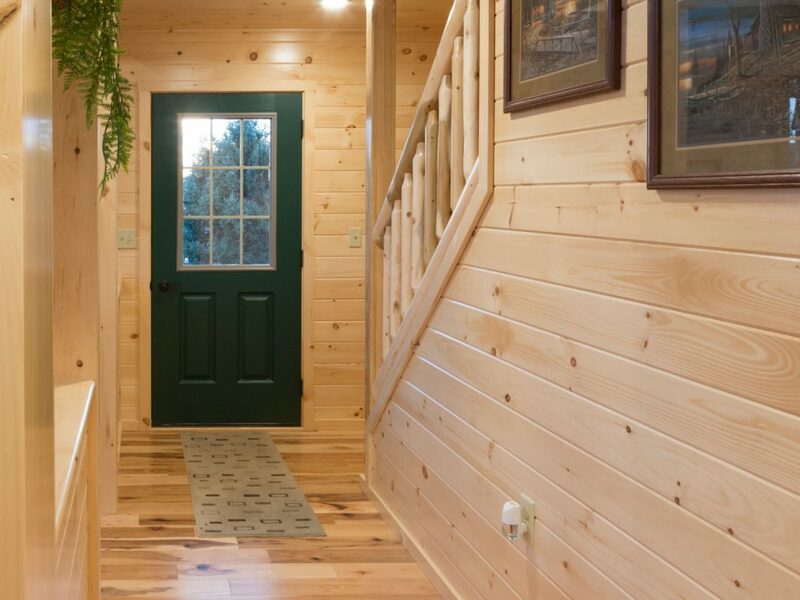 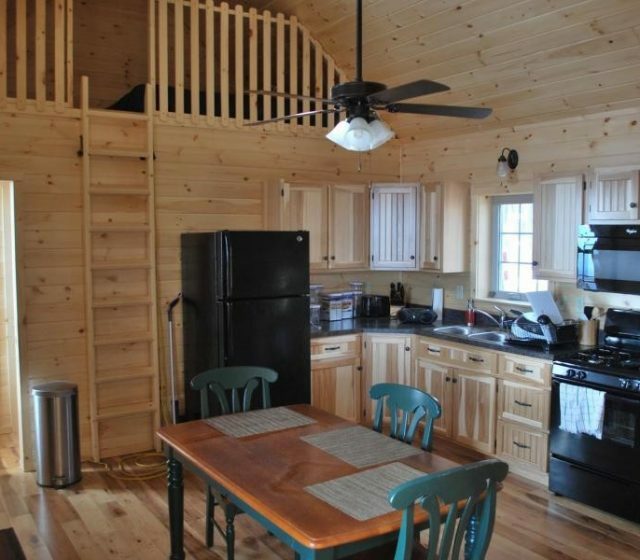 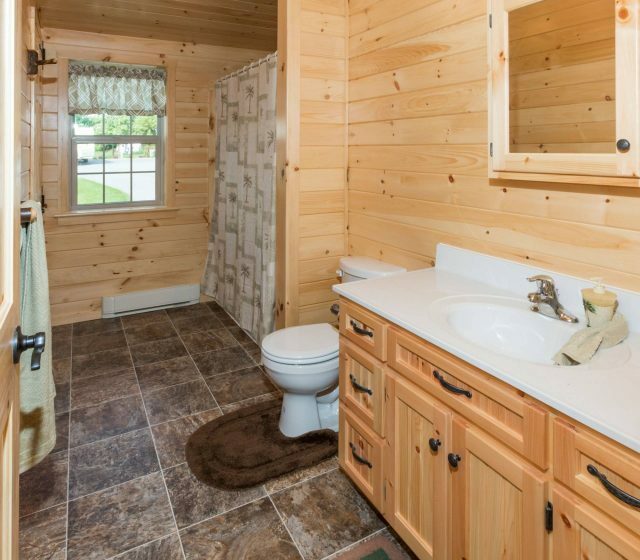 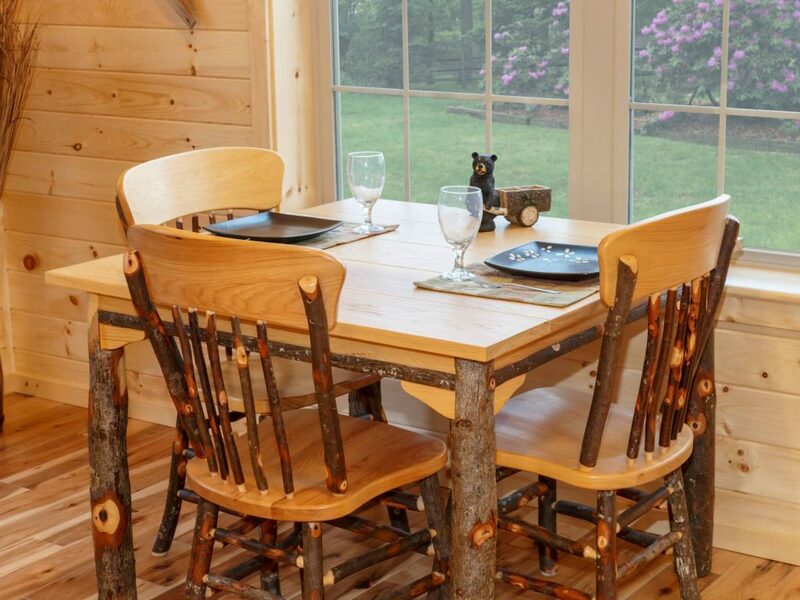 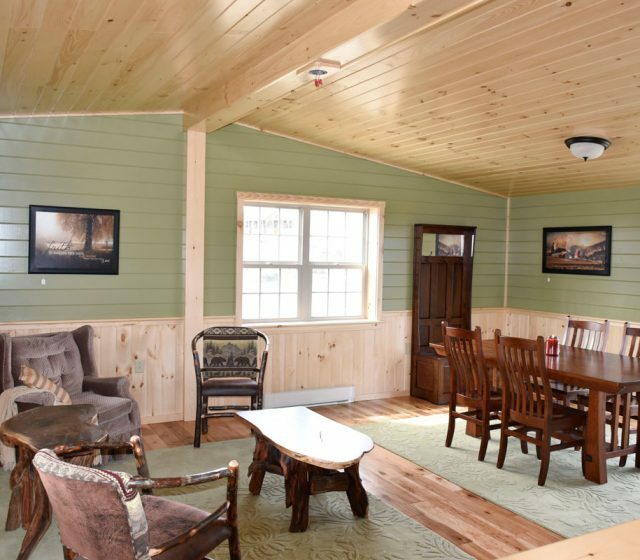 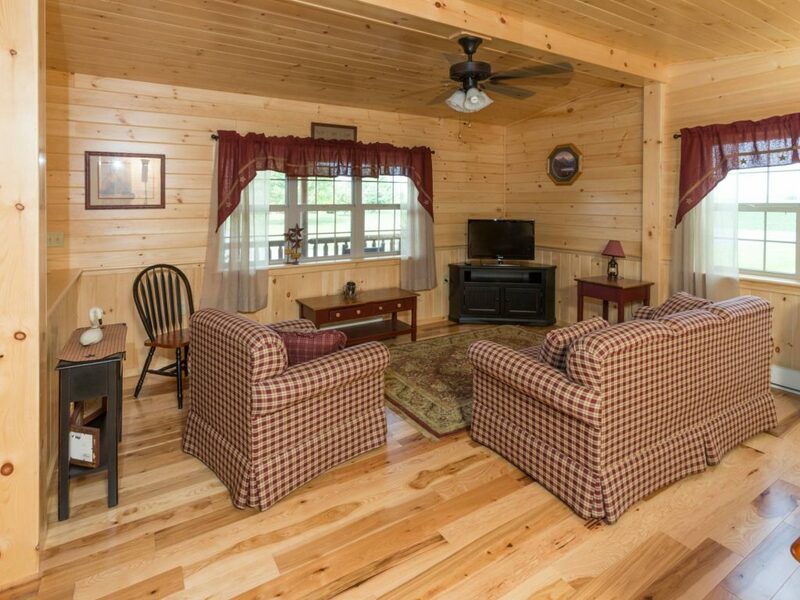 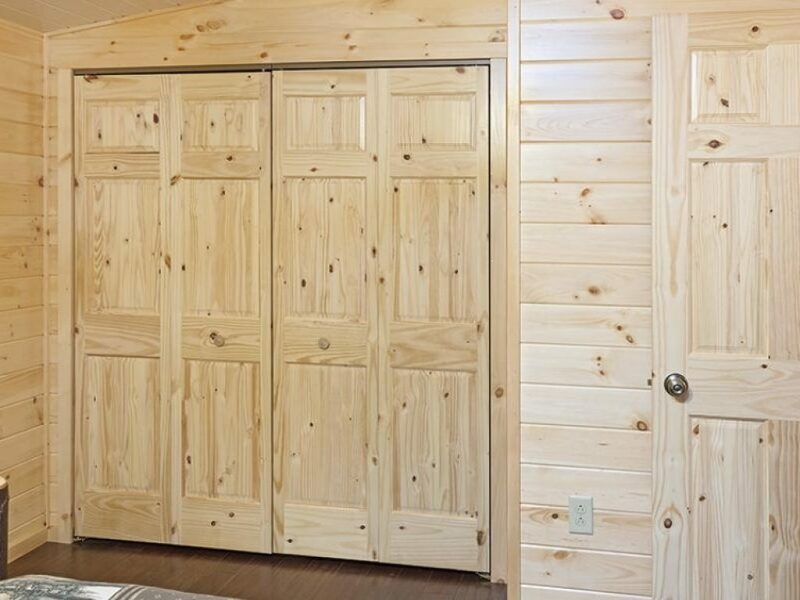 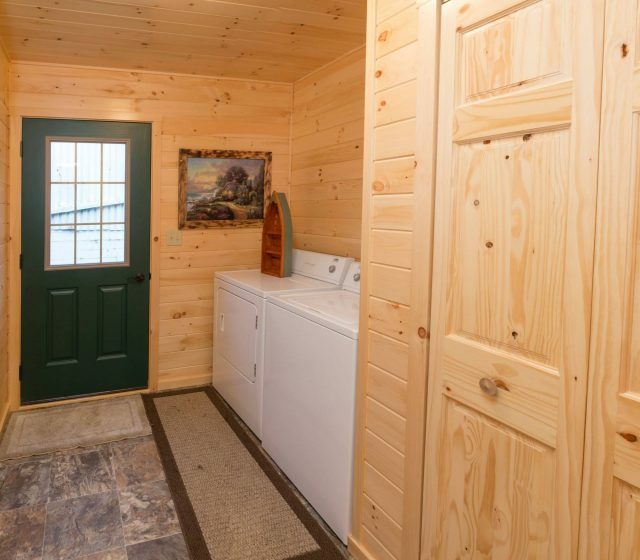 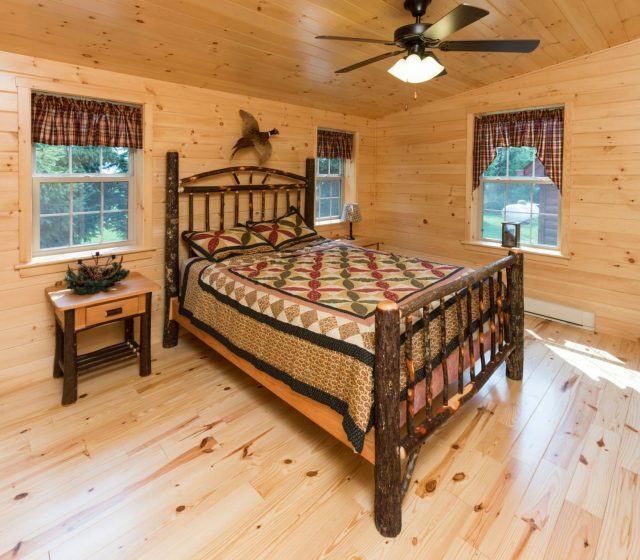 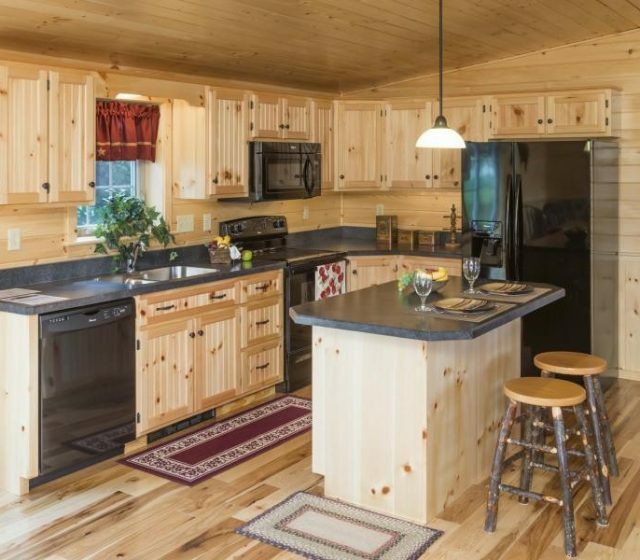 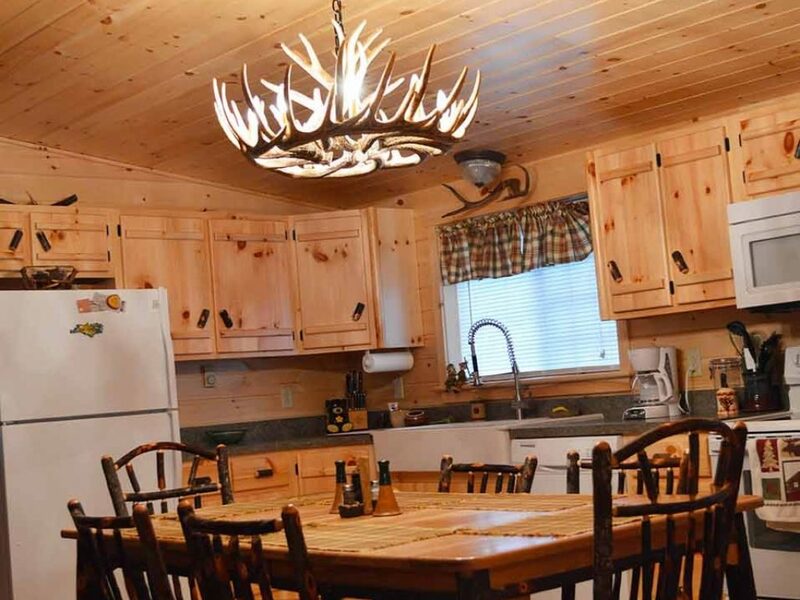 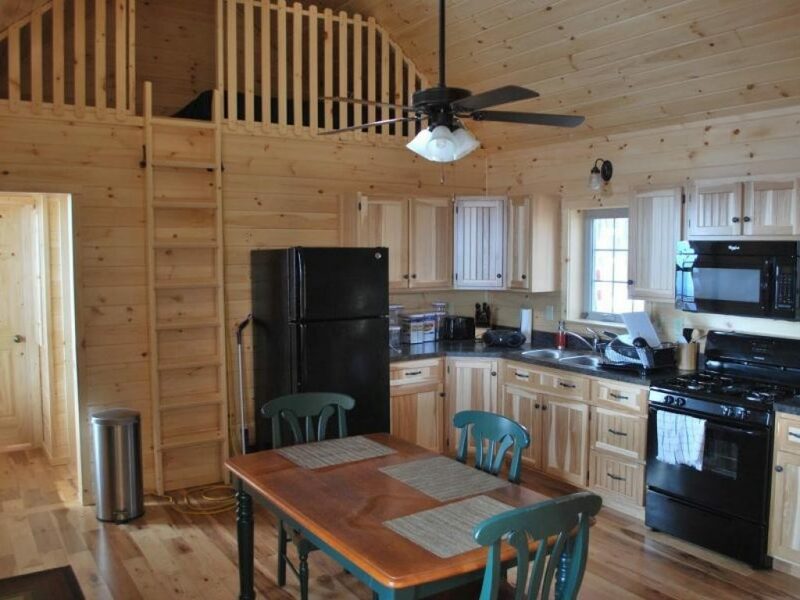 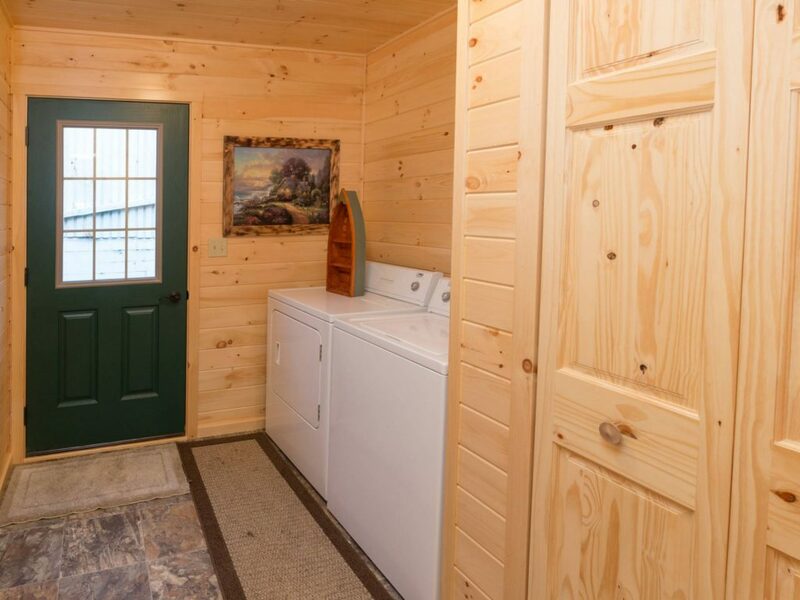 Our cabins come with a knotty pine finish, providing you with fantastic insulation and a classic cabin look. 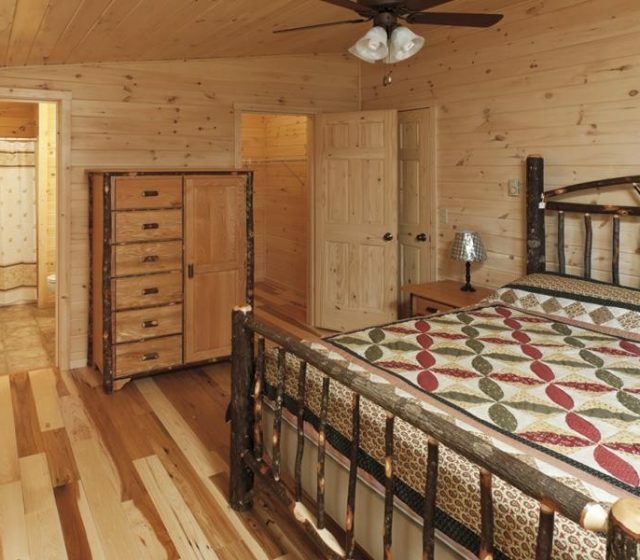 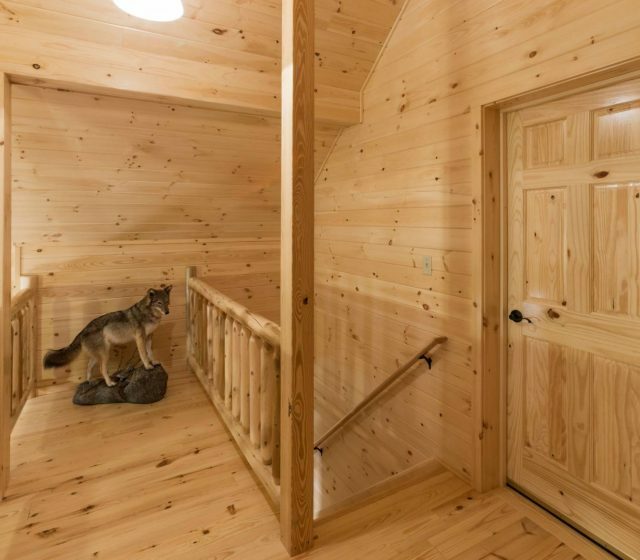 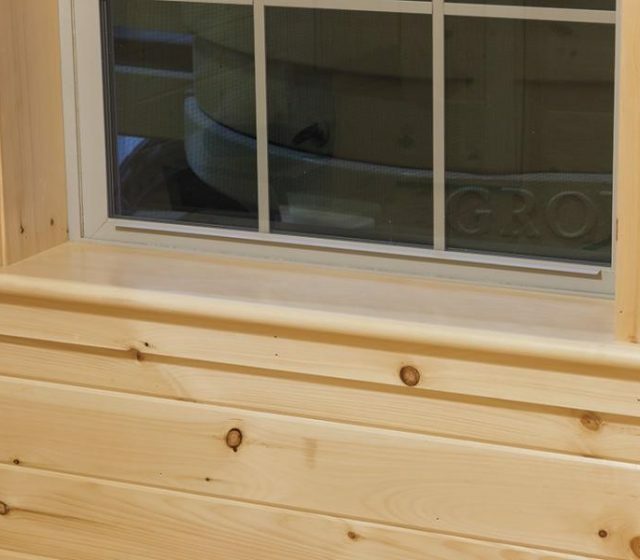 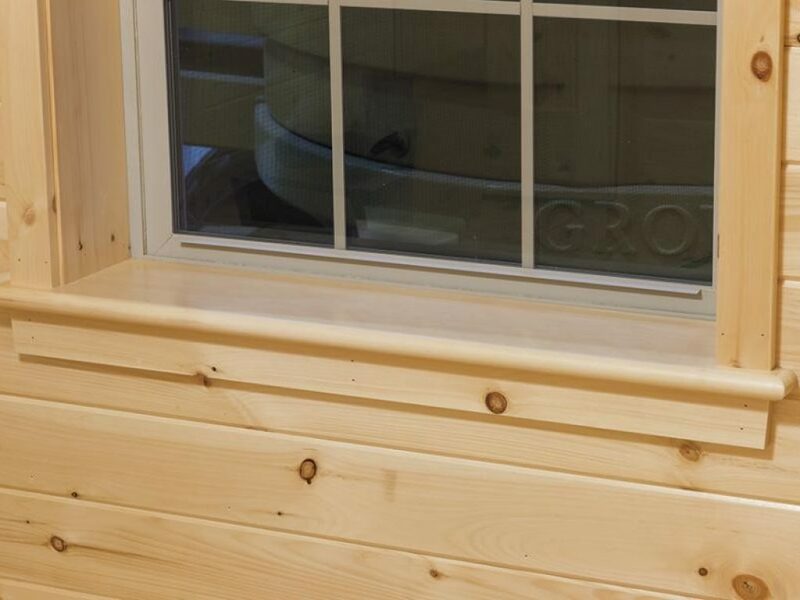 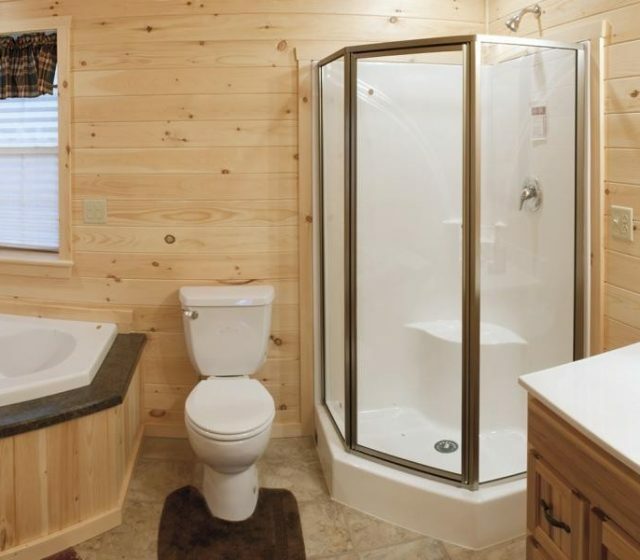 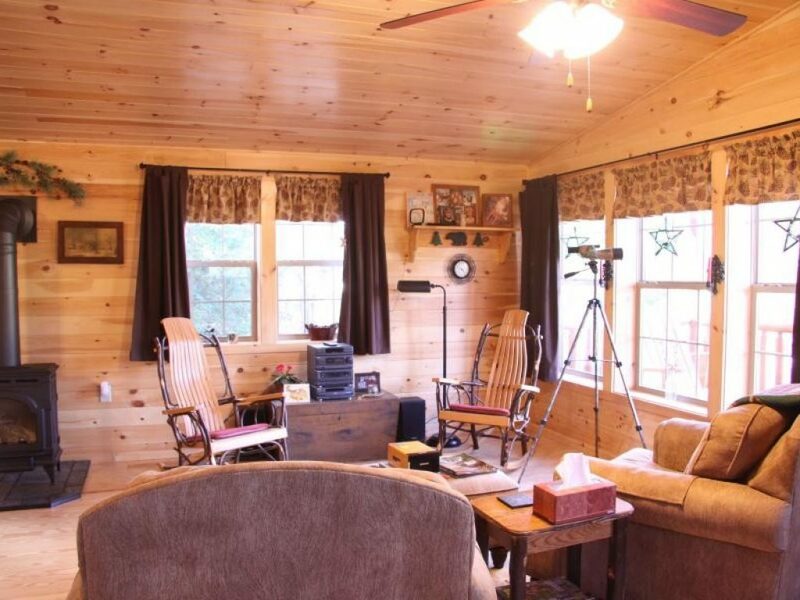 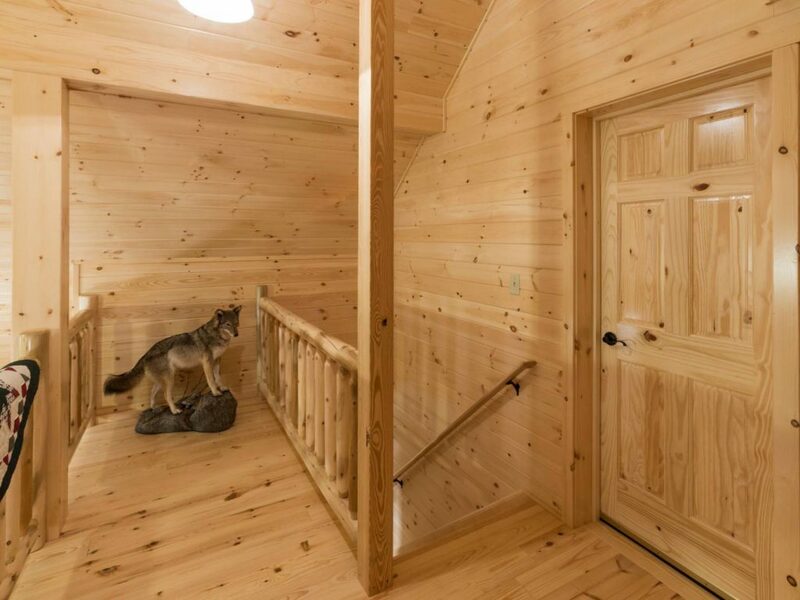 These provide a great example of what you can expect from one of our beautiful log cabin homes. 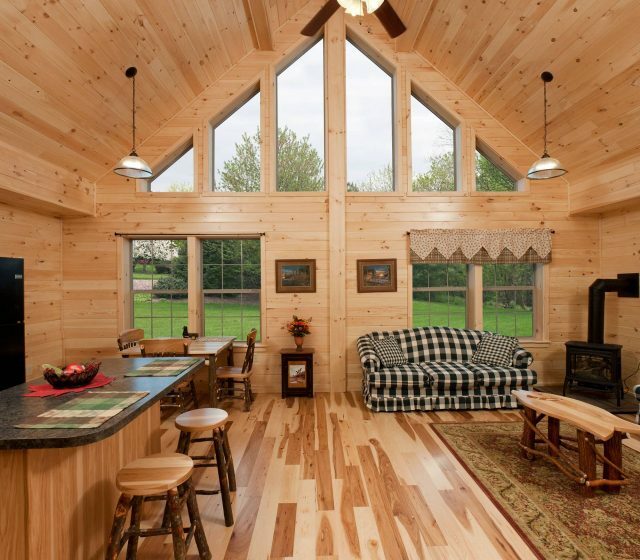 This is a great way to get log cabin interior ideas for your future cabin. 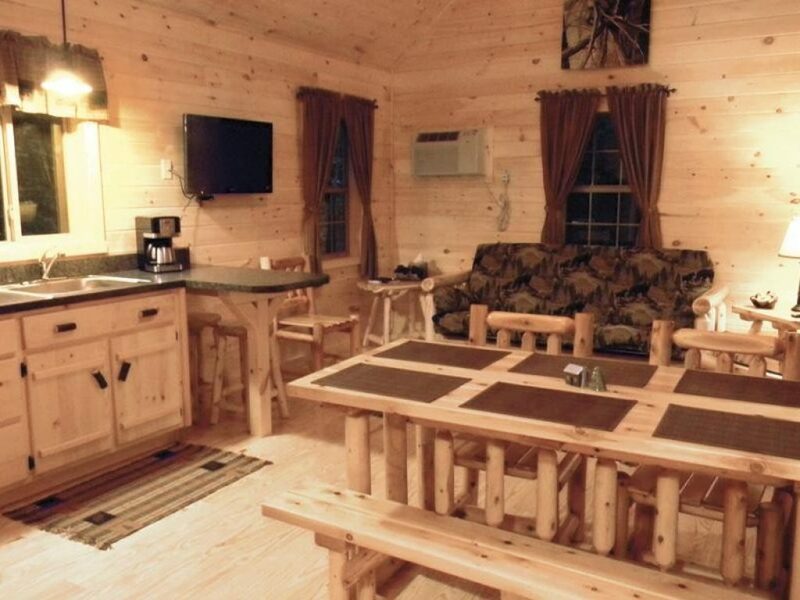 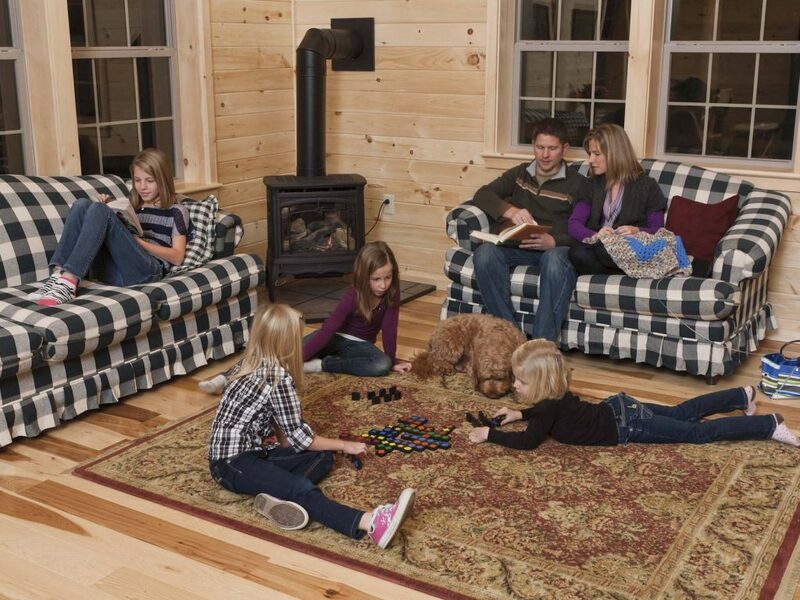 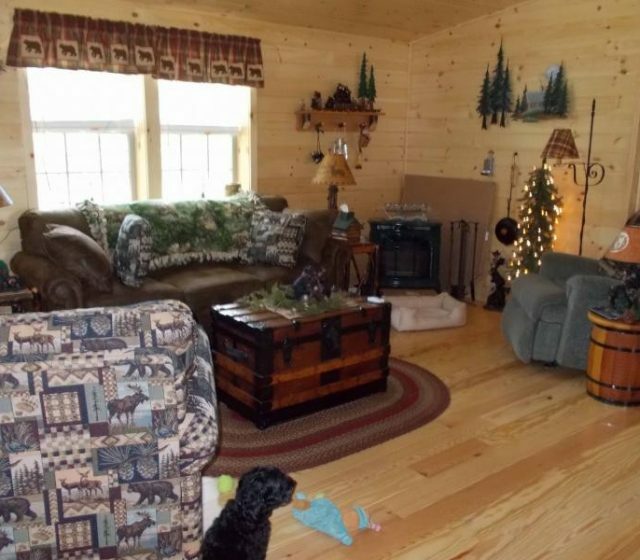 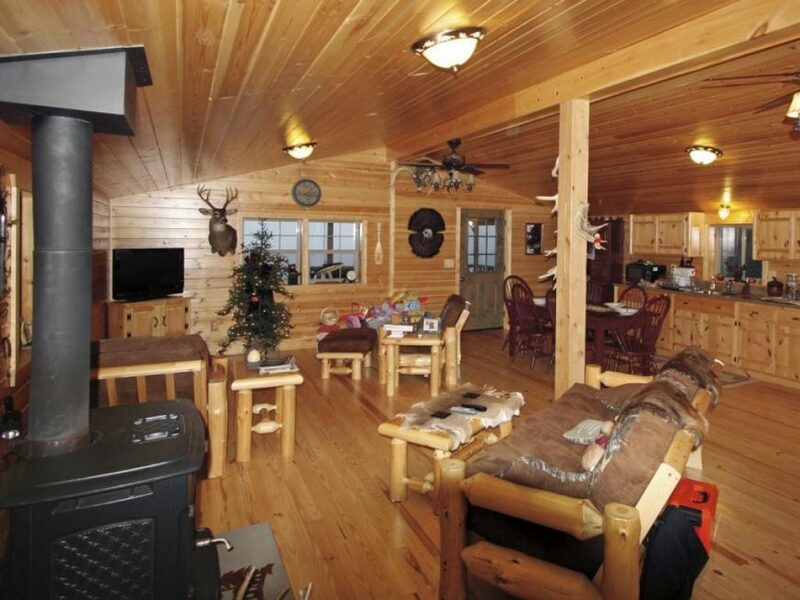 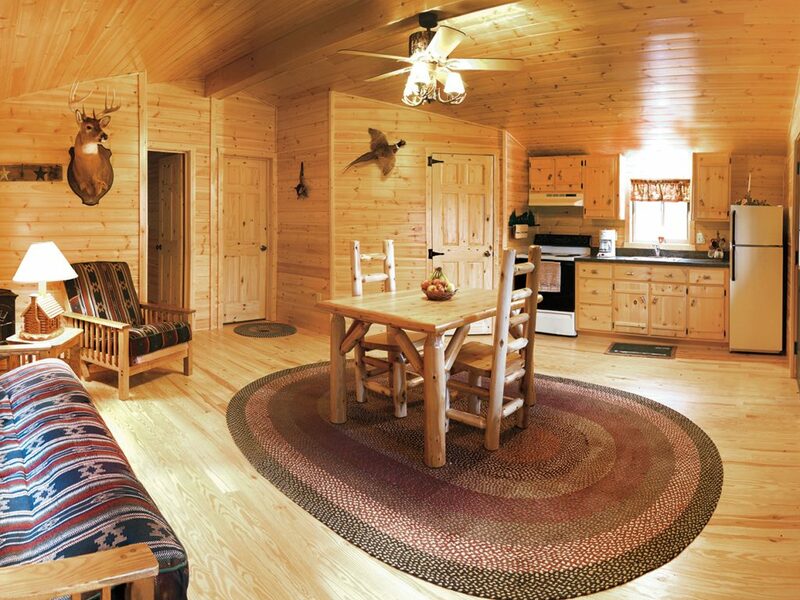 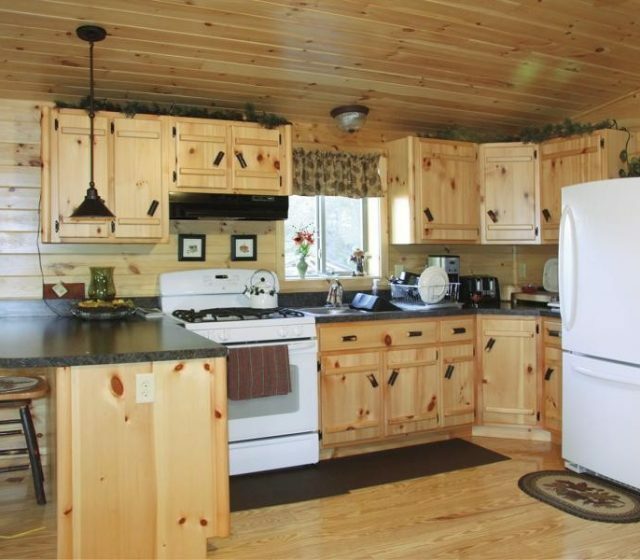 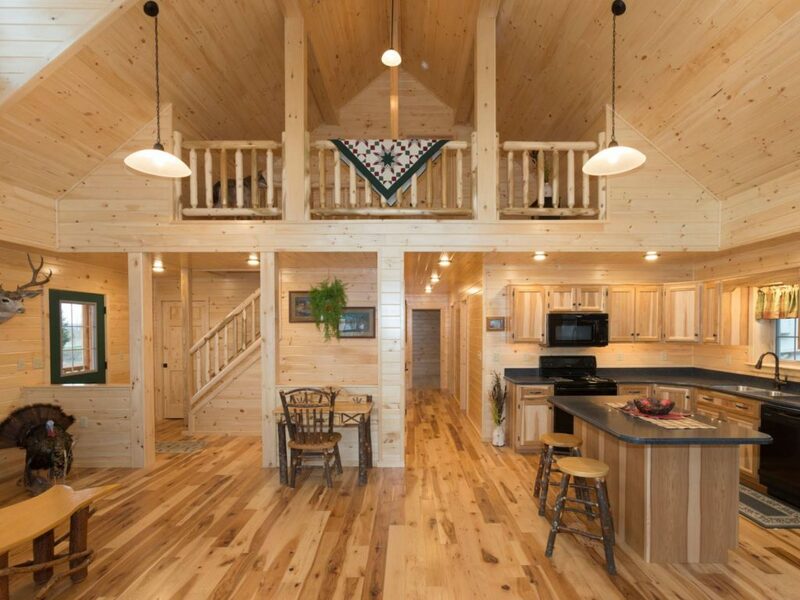 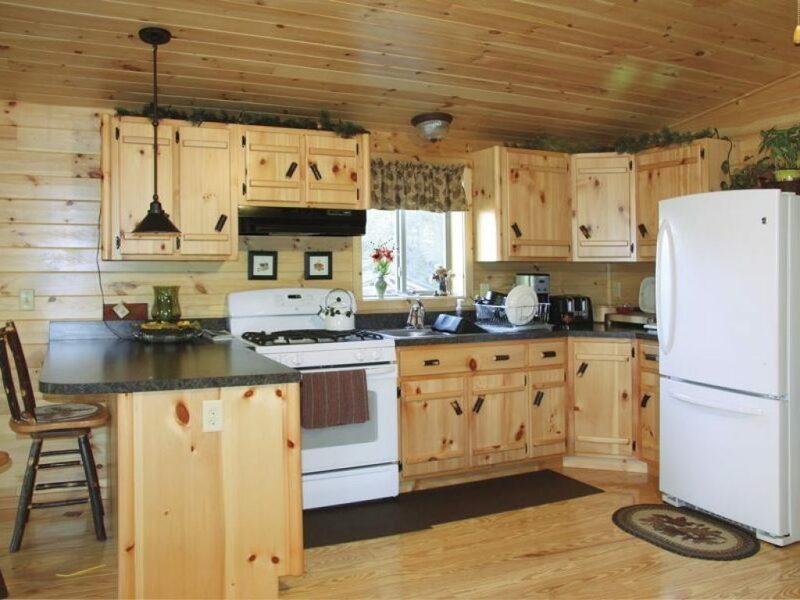 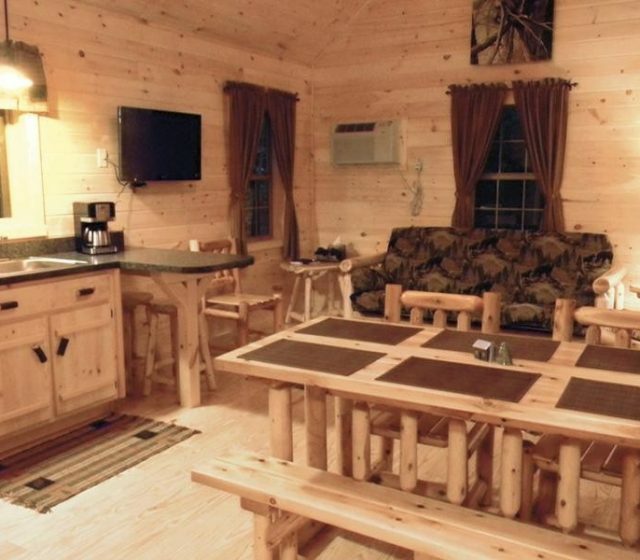 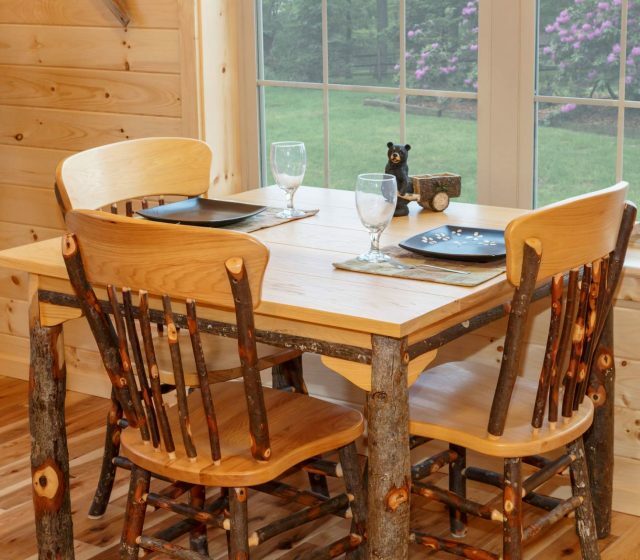 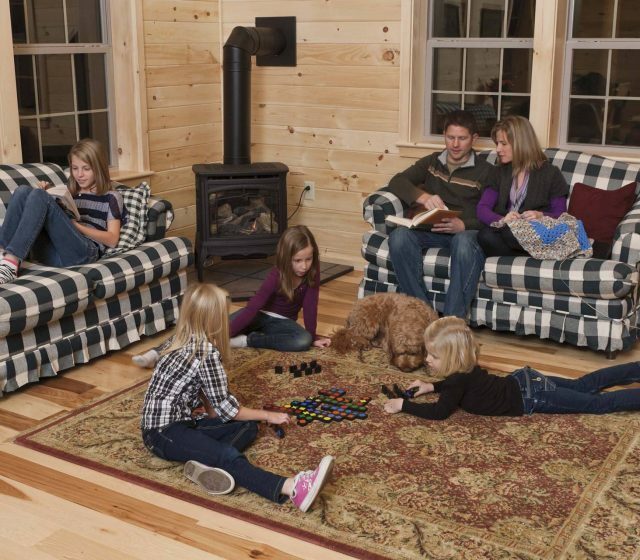 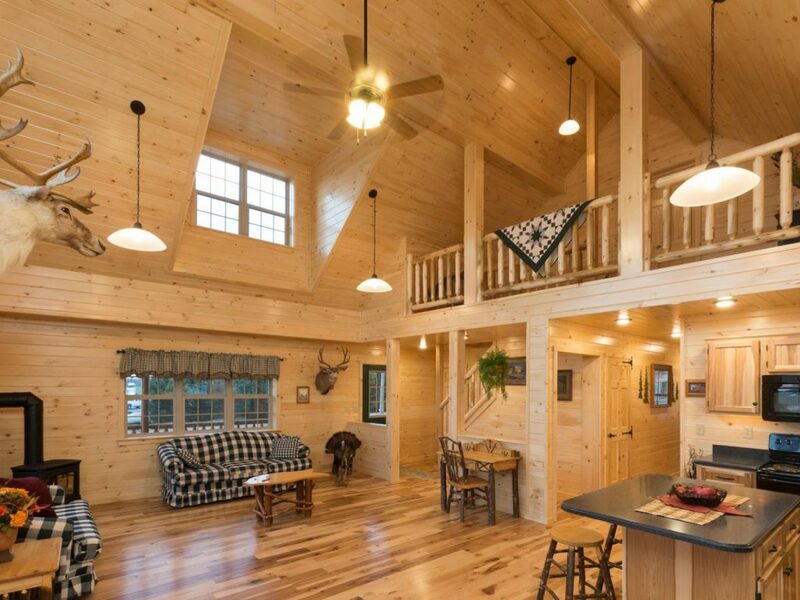 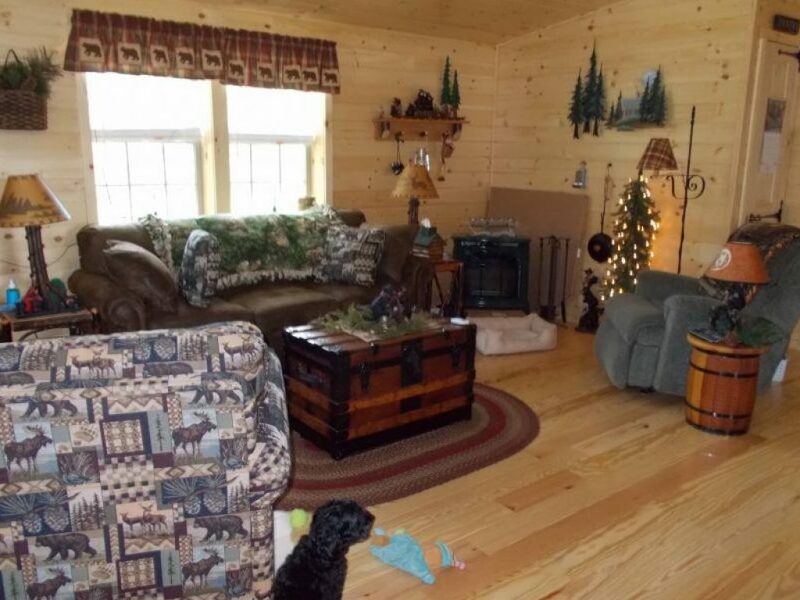 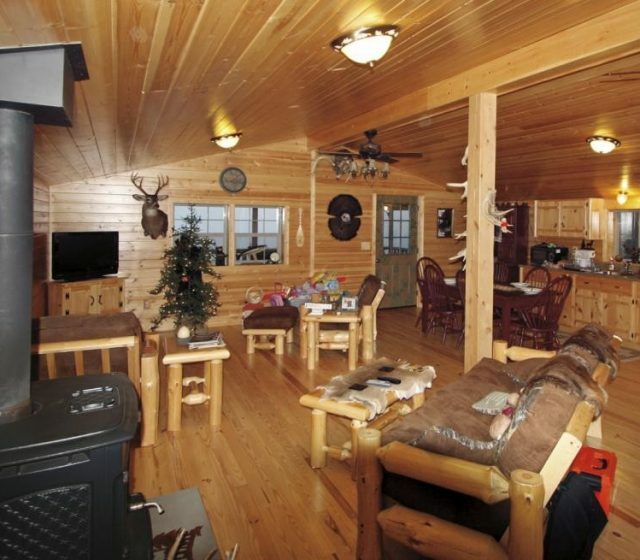 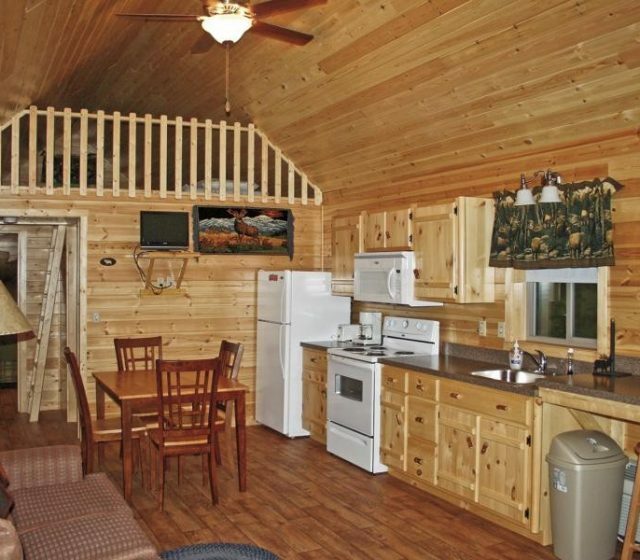 Check out the Options page for inspiration to customize your own log cabin.